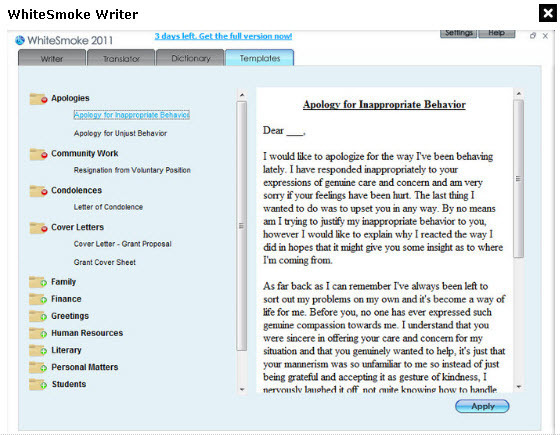 WhiteSmoke Writer Grammer 2011 Portable Free Download Latest Version. It is full offline installer standalone setup of WhiteSmoke Writer Grammer 2011. 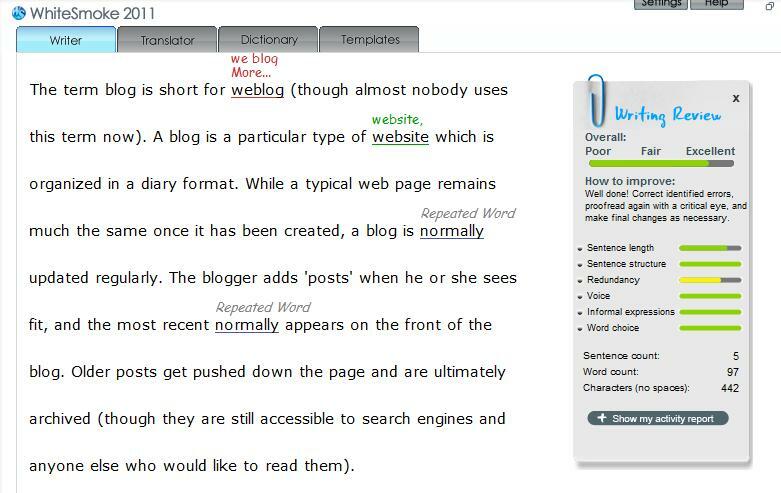 WhiteSmoke Writer Grammar 2011 is an impressive word processor that has been developed for the people who are going to write English as a foreign language. 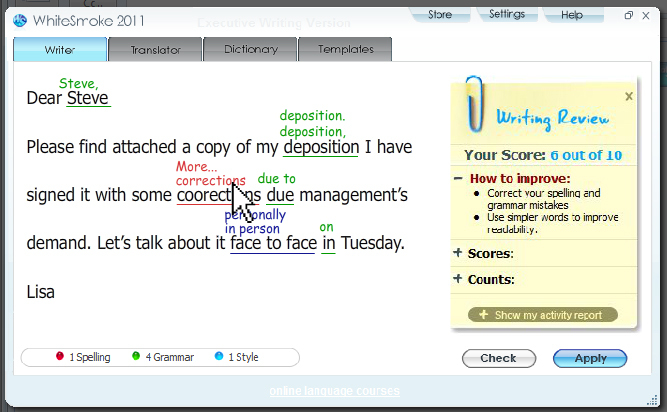 This software offers spelling and grammatical corrections on the sentence by sentence basis. It has got a very wide variety of templates which can be used according to your need so if you are planning to write a letter or any poem WhiteSmoke Writer Grammar 2011 has the right template for you. You can also download Atlantis Word Processor. It has got a very simple and quick installation process and during the installation process you can set a hotkey (which is F2 by default). Once this hotkey is pressed this toll will start working and will highlight all the errors in your writings. 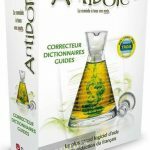 It has got very impressive dictionary and thesaurus which will let you translate your writings into several other languages. 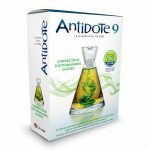 It has got an imposing style checker which will enhance your sentences with alternate phrases and words. Now your articles will never be grammatically incorrect as it ash got a Grammar Checker which will correct all the hard to spot errors from your writings. WhiteSmoke Writer Grammar 2011 can be used in social media, in school and academic research and in writing blogs etc. 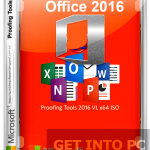 You can also download Word Magic Suite Premier. Below are some noticeable features which you’ll experience after WhiteSmoke Writer Grammar 2011 free download. Impressive word processor for writing English as foreign language. Got impressive spell checker for correcting your spellings. Got impressive dictionary and thesaurus. Got a grammar checker for checking your grammatical errors. Can be used in social media, in school and in writing blogs. Before you start WhiteSmoke Writer Grammar 2011 free download, make sure your PC meets minimum system requirements. Click on below button to start WhiteSmoke Writer Grammer 2011 Portable Free Download. This is complete offline installer and standalone setup for WhiteSmoke Writer Grammar 2011. This would be compatible with both 32 bit and 64 bit windows.